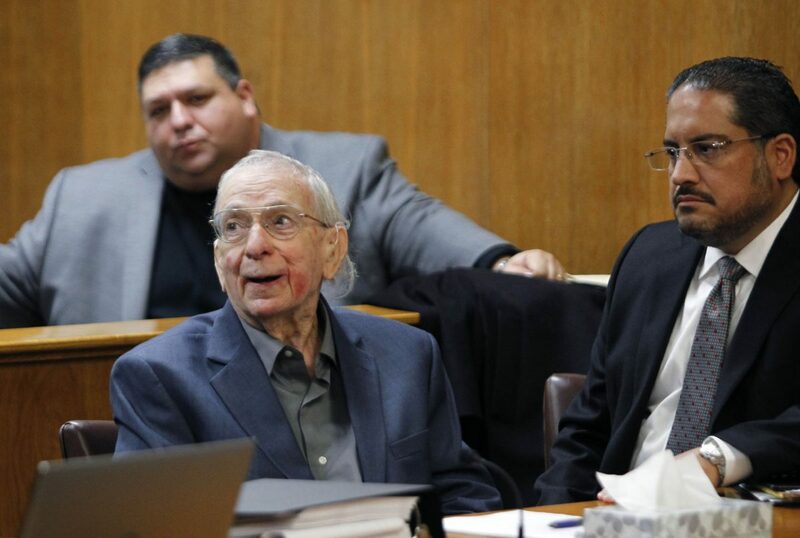 The defense rested its case Thursday after calling investigator Rudy Jaramillo, who was a member of the Texas Rangers cold case unit assigned to the Garza murder in 2002, for further testimony. Jurors are expected to be called into the courtroom at 9:30 a.m. Thursday, when the court will draft a charge. The defense and prosecution will also be making their closing arguments. The state has rested its case against John Feit shortly after the court returned from recess at 1:30 p.m. After five business days, this is much sooner than originally anticipated as the prosecution was expected to spend twice as much time arguing its case. Outside the presence of the jury, the defense subsequently argued in favor of dismissing the case based on a lack of evidence. But the prosecution contended that there is evidence of a body being moved, thus proving malice and forethought being established. The judge ruled against dismissing the case. Although the defense now has its opportunity to make its case, it’s unclear whether attorneys will call any witnesses to testify. During the fifth day of testimony in Feit’s murder trial, the court ruled against the defense’s motion for a mistrial. The motion was sought after a witness said “polygraph,” which is not allowed to be entered into testimony, during Tuesday’s proceedings. The state then called Hidalgo County’s forensic pathologist, Norma Jean Farley, who gave her opinion based on files and medical records on Garza’s autopsy provided by the state. Investigator Rudy Jaramillo, who was a member of the Texas Rangers cold case unit in 2002, was then called to the stand. The unit was assigned the case after Hidalgo County Sheriff’s Office officials reached out for assistance. Jaramillo detailed the steps the unit took in reviewing the decades-old cold case. The defense was cross-examining Jaramillo as the court recessed. The proceedings will reconvene at 1:30 p.m. with Jaramillo returning to the stand. The state is expected to call one more witness today, a DPS lab tech, before likely resting its case. Tuesday’s proceedings were highlighted by expert testimony by a former monk and former priest. Richard Sipe is a former Benedictine monk who has written books about Catholicism and the sexual abuses arising from the Catholic Church’s requirements of celibacy. Thomas Doyle was a Catholic priest in the Dominican Order. He co-authored “The Problem of Sexual Molestation by Roman Catholic Clergy” in 1986, alerting bishops of sexual abuse by clergy. Each testified as experts in these fields to further drive the state’s argument that there was collusion between high-level church officials and authorities to keep the Garza case under wraps. The day’s most damning testimony against Feit was that of Doyle, who read a letter he said was about “protecting the church.” The letter, written by one church official to others, addressed how to best maneuver around the the Garza case before Feit was moved to a monastery in Missouri. Today, the trial is set to begin with Hidalgo County’s forensic pathologist, Norma Jean Farley. Also expected to testify is Texas Ranger Rudy Jaramillo and another Texas Department of Public Safety lab technician. It is possible that the state will rest its case today.